Bellagio: This is the quintessential location on Lake Como. In recent years it has grown very popular with tourists, and it's not surprising why. 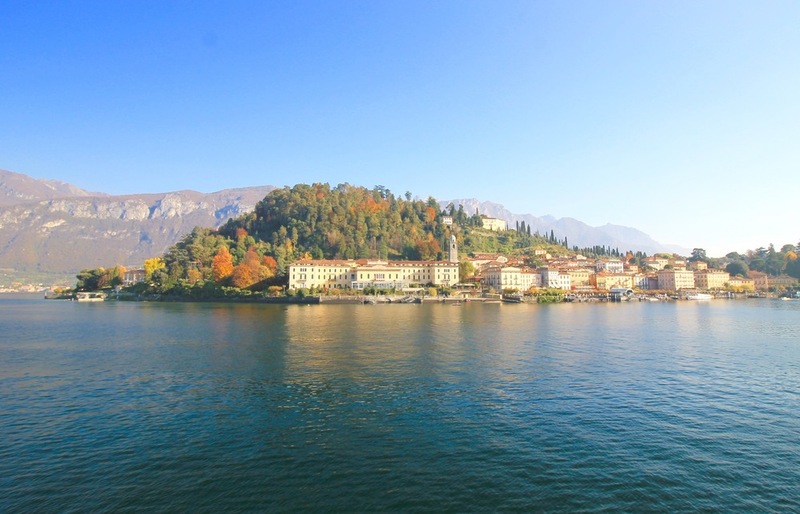 Bellagio is located in the center of the two arms of the lake, giving it incredible views across the water and great relationship to both shores. That said, it comes with a premium on activities, food, and lodging. You can find great places to eat and stay in Bellagio, but in my opinion, it's better for a day trip than as a permanent stop (because of the crowds and price tag). Be careful at the restaurant terraces: most charge a flat fee per person to enjoy the outdoors regardless of what's ordered. Menaggio: This is a great city to give your wallet a little rest. Here you can find a solid lunch on the water for ~€10. It's not gourmet, but Caffé Centrale has good pizza and sandwiches for well under €10. This city also has the rare Lake Como hostel. Especially since Menaggio has great proximity to Varenna and Bellagio, it's a great option for accommodations or at minimum, a day trip. Oh, and don't miss the Hazelnut-Nutella gelato at Gelateria Edo. Varenna: This medieval little neighborhood has nice outdoor cafés and beautiful cobblestone streets and alleyways. It's a small village, but a more budget friendly option than Bellagio while still feeling characteristically of Lake Como. Here you won't be charged a premium to sit outside, but you also can't wander too far without reaching the edge of town. A must-do free activity is the short “lovers walk” under the beautiful trellises along the charming water walkways. Cadennabia: Really a subsection of the greater Griante, Cadennabia is just across the water from Bellagio and a scenic, less busy area than Menaggio or Bellagio. There are some beautiful, large, and pricey resorts in this area and it doesn't have quite the same quaint feel as a place like Varenna, but it's a good option with easy access to the Greenway del Lago, which is a plus. Lecco or Como: These two towns are on opposing southern tips of the lake. While both are great relaxation spots with incredibly rich history given their location, transportation to other areas of the lake is a bit trickier unless you have a car. Via public transportation, from Lecco you can take a bus or train to Varenna and then hop on a boat from there to get to Bellagio, Menaggio, or Cadennabia. You also have the option of taking a bus directly to Bellagio. Both options take about an hour. From Como you'll have a slightly longer trip via bus and train to get to Bellagio. Tremezzo: For a rustic and historic stay, Tremezzo is a great option. There's a beautiful garden called Villa Carlotta and you are close enough to Cadennabia to have somewhat quick access to the central ferry system. For history lovers, this was an important town during both world wars and is also where Mussolini was captured, so whether you choose to stay here or just visit, it's an important place. Bellano: From Bellano you can take a short train ride to Varenna to access the water transport triangle, which makes it a convenient off-the-beaten-path spot to stay. For those visiting during peak season and wanting to experience the popular areas of Lake Como while also enjoying its famous tranquility, I recommend Bellano. Enjoy the nestled shops and restaurants that offer great fare at (slightly) lower prices than Bellano's more famous neighbors. There are many other small cities surrounding Como (and for the extra fancy, even an island). Not to mention many cities along the northern edge of the Lake not included in this article. To learn more about all of your options, check out this full list.